As a major center of clean energy development, aerospace production, and defense operations, Seattle has a reputation for technological advancement. The city continually bolsters this reputation, attracting some of the most innovative firms and professionals year after year. ExpeditedFreight.com brings these operations to new heights, trucking in the supplies necessary to make advances while shipping out finished products. 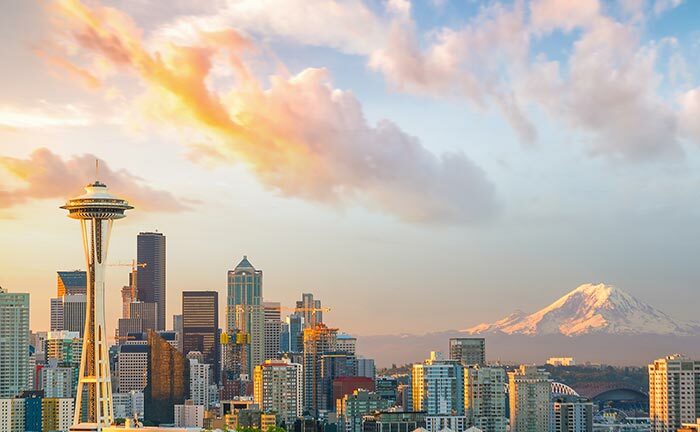 As an expedited freight company with a keen sense of Seattle’s needs, we are keep the city wealthy and thriving. Seattle’s success in technological development stems in no small part from its ability to extend its advances far and wide. Take the town’s dominance in clean energy. Seattle’s businesses are not content merely to generate energy with fewer emissions than ever before; they also want to make that energy available for as many things as possible. This explains the recent string of electric charging stations installed in the city, which are letting drivers take advantage of clean generation. Electric charging stations and other sustainable innovations rely on a myriad of advanced parts, many of which are highly delicate and are only available in distant parts of the country. To get ahold of these items, the city relies on expedited freight carriers, but not all carriers have the resources and expertise to ship such items safely. Logistical issues thus remain one of the greatest vulnerabilities for the Seattle area’s economy. 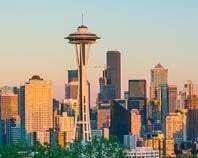 ExpeditedFreight.com shores up logistical issues for clients in Seattle, Redmond, Puyallup, Tacoma, Kent, Everett, Bellevue, and other communities throughout the region. Safe Deliveries - ExpeditedFreight.com recognizes that safety must be first and foremost in all deliveries, particularly those for businesses that are saving the planet. We thus plan out our routes so as to avoid bumpy roads, dangerous or congested traffic, severe weather, and other factors that reduce safety. We also require teams of two drivers to operate each vehicle, allowing each trucker to get enough rest and stay alert. Finally, because we offer dedicated deliveries, we have plenty of room to load storage equipment that can preserve your items while they are on the way. Swift Solutions - After safety, ExpeditedFreight.com focuses on speed, allowing our customers in Seattle to get their supplies and send out finished items on even the tightest schedules. To accomplish this, our route planning experts find the shortest distance to your destination. We then track our trucks and guide them around new delays, keeping our delivery services as quick and consistent as possible. Customer Support - While your items are on their way to or from Seattle, you’re free to contact us at any time and ask about the vehicle’s position. We can also answer any questions you have about your order, and if you don’t currently have an order with us, we’ll give you a free quote for a future one. All of this is available from our customer service center, which is open 24 hours a day, 365 days a year. For more on expedited shipping solutions in Seattle and beyond, contact ExpeditedFreight.com at (206) 673-2900.